It’s Paris, 18 April 1910. Eugène-Louis Doyen (1859-1916) takes the stage to deliver a lecture on topographical anatomy. The professor intends to astonish the crowd with a carnivale moderne of medical science. There will be: lantern-slide projec­tions of colored photographs of machine-sliced cross-sections of “scientifically mummified” cadavers; silent films of surgeries; displays of actual cadaveric slices, via direct presentation and episcopic projection; even a bit of onstage dissection. As Doyen commences, his supporters and detractors come to blows. The lecture becomes a notorious fiasco, reported on in the Parisian press and the New York Times. It’s an episode full of juicy details that bear on the politics and practice of elite French medicine, the staging and meaning of scientific lectures and photographic presentation, the performance of scientific personae, and the cultural, political media milieu of belle époque France. Yet historians have somehow overlooked the riot, and overlooked anatomical photography. But the subject deserves close study. After Nikolaus Rüdinger published his pioneering photographic atlas in 1861, ambi­tious anato­mists all over the world began ex­peri­ment­ing. They manipulated their photographs in theatrical and painterly ways, spectacularly cutting, slicing, posing and lighting their cadavers and cadaver parts. The artist’s brush was as evident as the anatomist’s scalpel and the photographic image was subject to wayward aesthetic impulses. 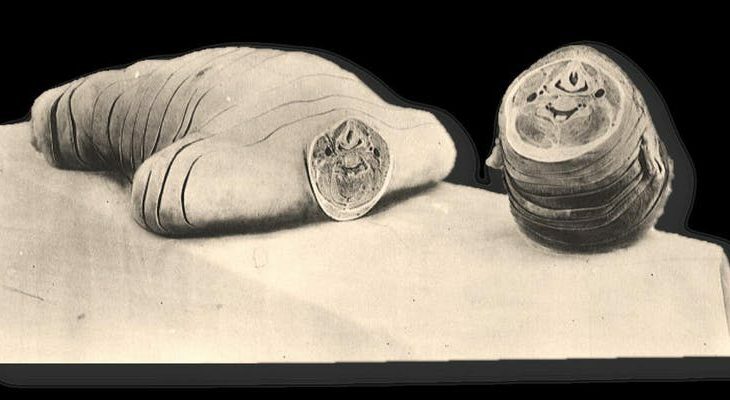 The anatomical photograph made claims to a superior scientificity, but it also put on a show, compelled viewers to look and look again. And that raised aesthetic, semiological, epistemological, ethical questions about beauty and ugliness: how those categories are constituted in image practice; how they relate to truthfulness, errancy, scientific method and comportment. This illustrated talk will consider photographic anatomy as social, cultural and professional performance. I want to think about the meanings and boundaries of representational practices, how the scientific presentation could harbor image practices that were utterly impermissible in other domains. The focus: the 279 “heliotyped” photographic plates of Eugène-Louis Doyen’s provocative Atlas d’anatomie topographique (1911-12), an unheralded masterpiece. Please note: this lecture will contain images of a sensitive nature. Subjects include autopsy, cadavers, surgeries and dissection.